You can now order a Grapehounds T-Shirt from FFGR, Inc.! The design is shown in the photo above. These are bright white Hanes preshrunk 100% cotton Beefy T’s which run a little large in size. They are not a lady’s shirt or a women’s cut but they seem to fit men and women pretty well. We have sizes Small, Medium, Large and Extra Large available. They are $12 each. If you wish to order one, go to our web site home page and to the “donate” button. You can designate “T-shirt, size ____” and then send the payment of $12. Will will hold your T-shirt for you if you are attending Grapehounds or Greyhounds in Gettysburg. If you are not going to be at either event, we will send your T-shirt to you (we will cover the postage). It will be essential for you to provide registration information in the comments section on PayPal, including 1) your name and address, 2) your email (so you can receive an ebooklet and where someone can reach you if something is not clear), and 3) the name of the hosting adoption group to whom you would like to designate a portion of your ticket. ($5 of each ticket purchase goes to a group you designate.) If you do not designate a group, that portion of your ticket will just be divided evenly among all nine adoption groups. BIG NEWS! FFGR, Inc. will be vending at this event all day on May 15! 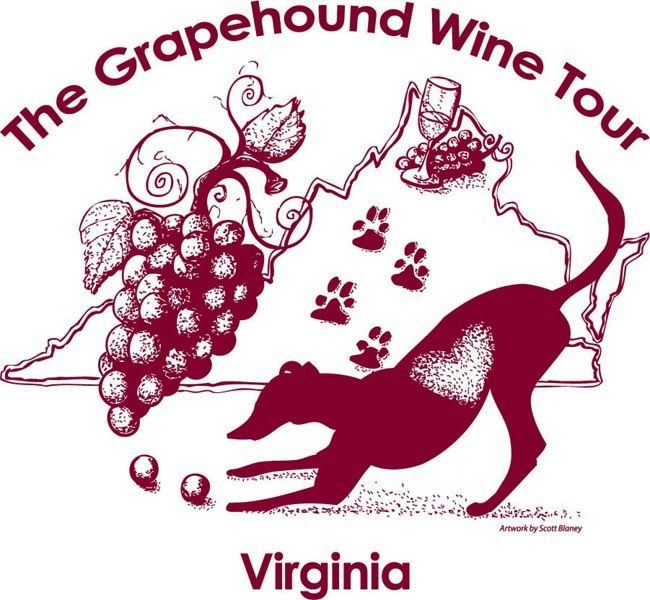 We will have the same inventory to sell that we will be taking to Greyhounds in Gettysburg. If you can’t make the GIG event, you will have another opportunity to purchase something at Grapehounds. If you are interested in helping out while we are vending, please email us or call us and let us know in what way you would like to help. We will continue to update this event as we get more information. We hope you will be able to attend! This event promises to be GREYT and it’s not far from home!